I love my steak. There's nothing better than perfectly cooked steaks to share with friends or family sitting in the back yard with a cold beer or a smooth red wine. 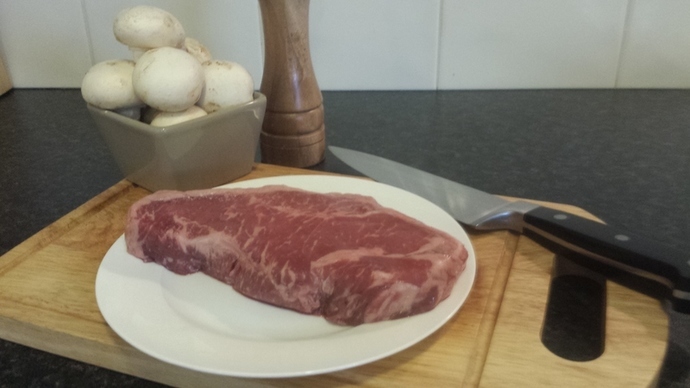 The cuts of beef I recommend for this are sirloin, rib eye or porterhouse. Try to buy ones that have a good fat marbling (this will help the meat stay juicy) and are at least an inch thick. When you go look for mushrooms, the button variety are usually the most common that you will find. I highly recommend taking a trip to your local market if you have one. If you can get your hands on the oyster, chanterelles or Enokitake variety, they are fantastic. Feel free to mix and match for a good combination of textures and tastes. First and most importantly, make sure your steaks are at room temperature. This will insure your cuts of beef will cook evenly throughout the meat. Heat a griddle pan or BBQ on a high heat so it's smoking hot. 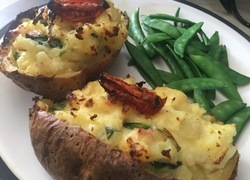 You can use a normal fry pan for this, although you won't get quite the same flavours because of how the heat is distributed throughout the pan. Season your meat with salt on both sides. 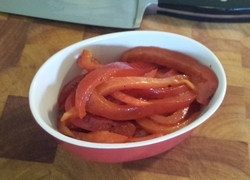 Don't pepper your meat at this stage, as it will only burn and you will ruin the taste. Cover your steaks with olive oil making sure it's evenly spread. 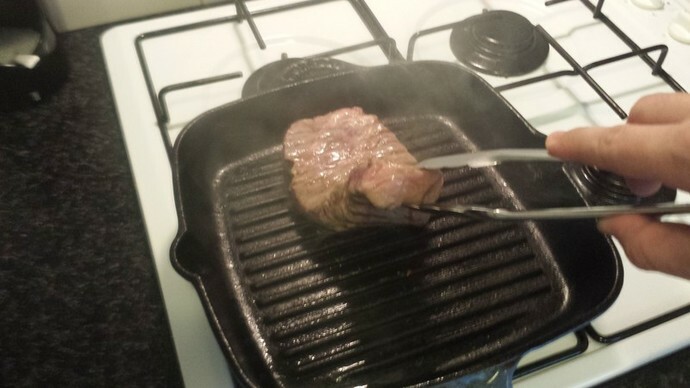 Using a pair of tongs, place the steak in the pan away from you. Now the trick for the perfectly cooked steak. Turn the steak every 15 - 20 seconds. Yes that's right, every 15 - 20 seconds. This will make the heat distribute evenly through the meat. Turn the meat every 15 - 20 seconds. 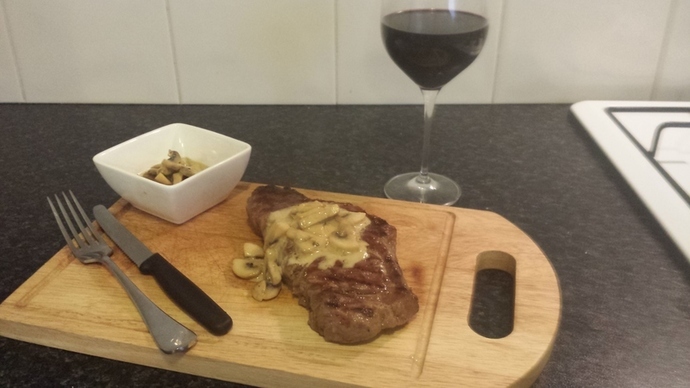 Everyone has a personal preference on how they like their steak cooked. So how do you make sure everyone's happy? 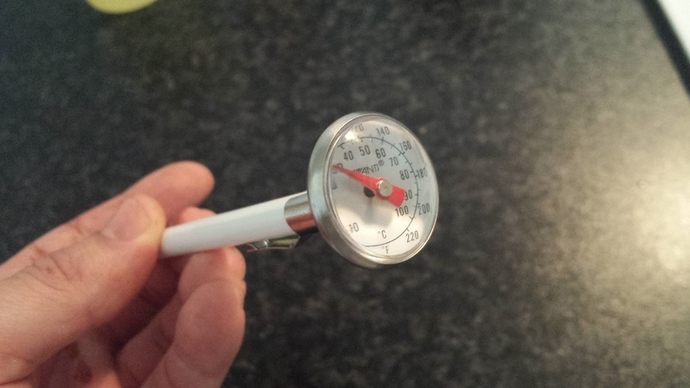 My advice is not to cut into the steak, but to go invest in a meat thermometer. Find one that has the temperatures on it and not ones that are pre-set. They're actually quite cheap and can be found at any good kitchenware shop. Making sure you only put the thermometer into the meat and not all the way through to the pan, the temperatures you want to remove the meat from the pan are as follows. Once you have your required temperature, you need to let the meat rest. The best way to do this is to rest your meat on a cake rack over a plate. Do this for at least 5 minutes. 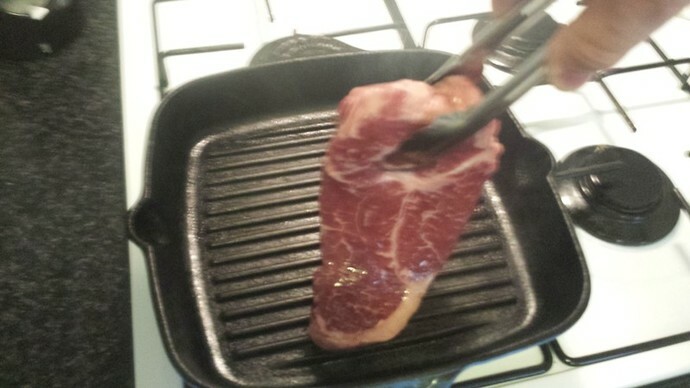 This will make sure that the meat holds on to its juices and you end up with a succulent steak to eat. Prep your mushrooms by either brushing them softly or washing them quickly to remove any dirt or bugs that may be on them. Do not soak your mushrooms in water. Cut or break up your mushrooms so they are in bite size pieces. Heat a saucepan on a medium heat, adding the butter to the pan. 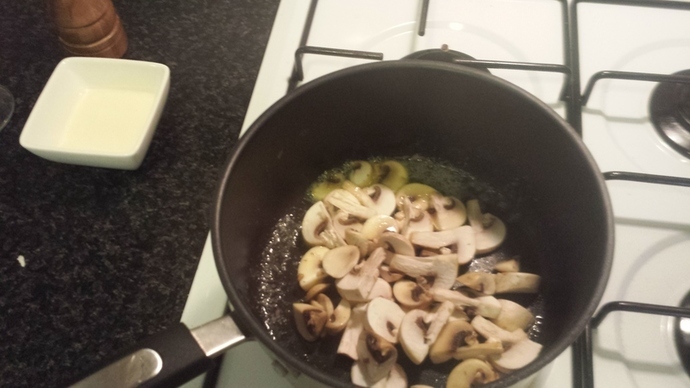 Once the butter begins to melt, add the mushrooms with a good pinch of salt and pepper. 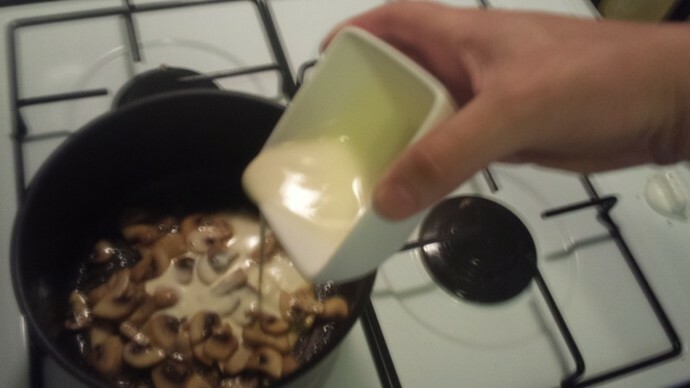 Add mushrooms to the melted butter. 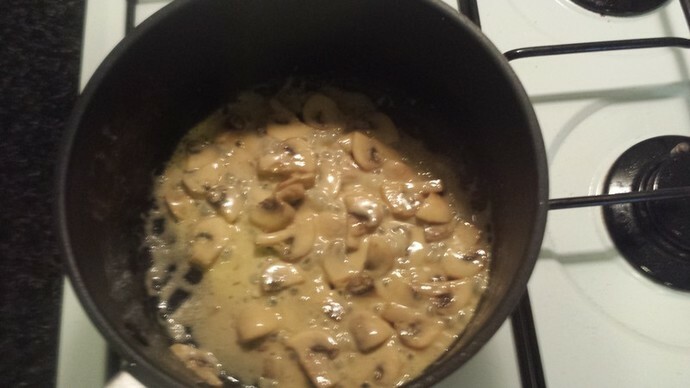 Cook until the mushrooms are a nice golden colour. Once golden add the white wine and stir. 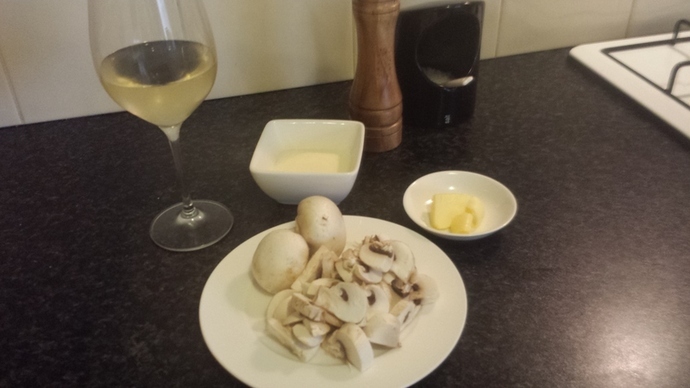 The wine should soak into the mushrooms making for a beautiful flavour. Pour in half of the cream and stir into the sauce. Once mixed well, add the remainder of cream and any juice from the meat that's dripped out. You should end up with a nice brown coloured sauce. Don't let the sauce boil. Reduce heat if this happens. Allow the sauce to thicken. Always remember to taste, making sure the seasoning is correct. You should be able to taste all the elements of the sauce. All that's left is to serve and eat. If you are serving multiple people, I find its nice to have the meat cut into half inch thick slices. 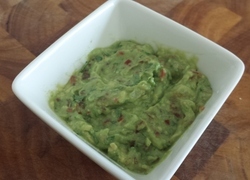 Place it on a nice big cutting board or plate and allow the magical element of bonding over food happen. Today though I'm eating this all to myself! The perfect meal for one.